Dyslexia is a common problem. 1 out of 5 people suffer from dyslexia. Most children who have some form of specific learning disability suffer from dyslexia.  Dyslexia cannot be treated effectively using traditional reading or tutoring programmes. Letter reversals, like b and d, is not the only symptom of dyslexia. There is often poor co- ordination, poor fine- motor skills and poor hand-eye co-ordination. Dyslexia has no impact on the intelligence level of the child. Spelling is more of a serious problem than reading. 1 on 1 Tutoring Using a one-on-one setting, our goal is not just to teach the children how to read and count, but to improve the learning process by focusing on the underlying learning skills such as visual and auditory processing, attention, focus and memory skills. Main focus We teach children and adults with dyslexia, dyscalculia and other learning disabilities to read, spell, write and count. We focus on developing the thinking process, for this creates independence and builds on the students’ strengths. Although the issues are neurological-based learning disorders, the remedy is educational. Can you solve this crossword puzzle? Probably you have completed this crossword puzzle in the blink of an eye. Most dyslexic children however have problems with these O-E words and are not able to do so. Orton-Gillingham Method The Orton-Gillingham approach is language-based, multi-sensory, structured, sequential, cumulative, cognitive, and flexible. In every lesson, the student experiences a high degree of success and gains confidence as well as skill. Dyslexia Remedial Centre in Subang Jaya is a one-stop Centre for one on one tuition for Dyslexia and other Specific Learning Disabilities for those residing in Subang, Puchong, Petaling Jaya, Kuala Lumpur and other townships in the Klang Valley.